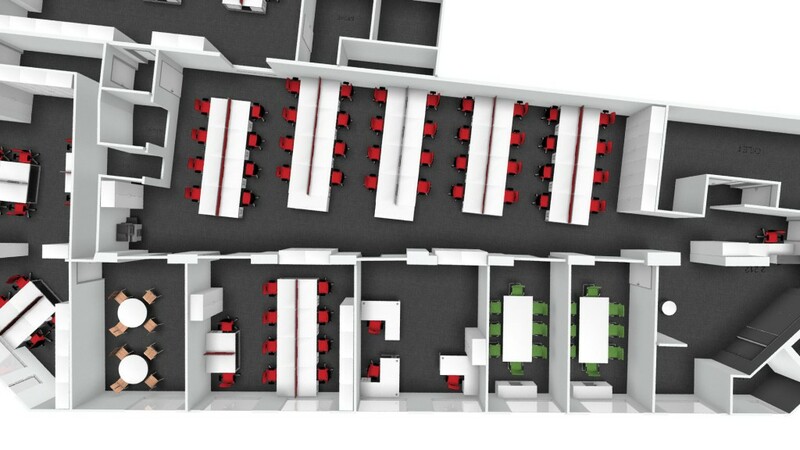 If you are in the process of planning an office space then one of the biggest challenges you will face is how you can save space and maximise on the room that you have got. At The Designer Office we are facing these challenges every day so if you need any advice about office space planning then we will be glad to help. 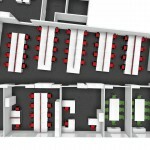 There are a variety of options when it comes to space planning in the office. One of these options is bench desking. 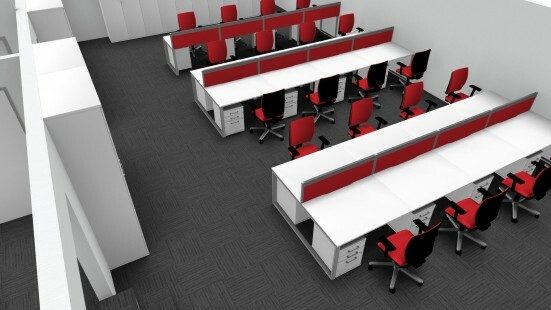 Bench desking is ideal for open office space planning where desks are needed by a large number of people and there is a requirement for hot desking. Bench desks are a perfect office furniture space planning solution for call centres and telesales operations because they allow the flexibility for team interaction and collaboration. 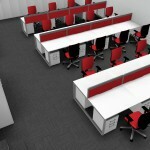 Call centres are operations where planning office space effectively is absolutely crucial. With large numbers of staff and limited space you need a desking solution that can accommodate several people, be flexible so that you can change things when you need to and a space saving solution that will help you reduce the footprint of your office. The Designer Office can help you achieve all these things. A space saving design feature of bench desking is that it enables you to share structural components such as desk legs and beams. 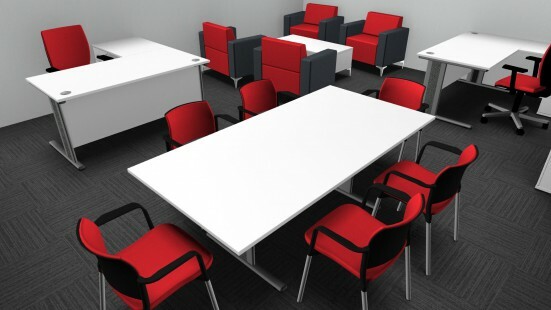 This enables you to extend the surface of the desk area by adding on separate desk modules, giving you more flexibility to seat additional people and create dynamic working areas. The flexibility of being able to share structural components allows you to keep costs down and make maximum use of the office space that you have available. When you are planning to set up a large office space it makes sense to have an office planning checklist where you can make note of all your office space planning ideas and office space planning concepts. At The Designer Office we will work closely with you to work through your checklist of ideas and concepts and help you to achieve them in the most effective way. 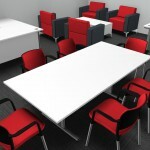 Whether it’s office space planning at an operational level or corporate office space planning, the secrets to a successful design is choosing the right chairs, desks and tables and getting the telecommunication and IT set up spot on with smart cable management so that you have a neat and highly professional finish. Office space planning from The Designer Office is all about maximising the space that you have available and getting the best value out of the budget you are working with. We have helped companies all over the UK achieve more effective office environments so if you need any help with office space planning for your business then please contact us now.